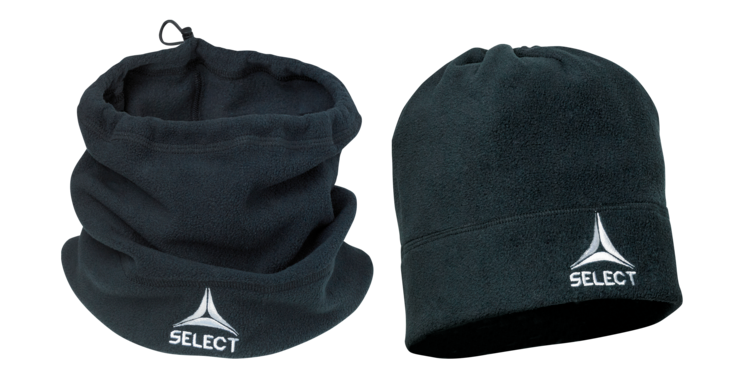 Player's hat, gloves, hairband and neck warmer suitable for outdoor training and match. Black, lime green and orange. 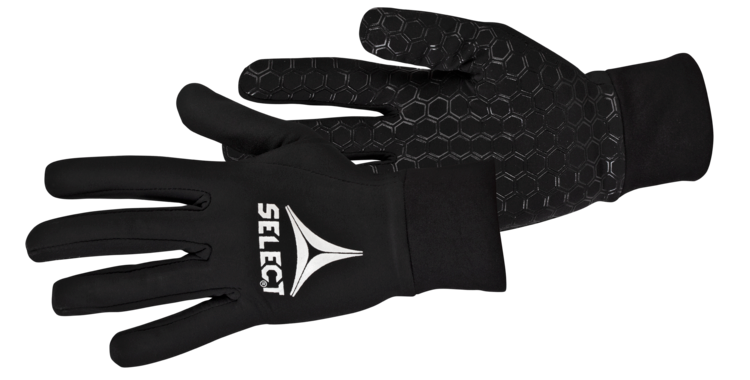 Made from 65% nylon and 35% elastic. Keeps the hair in place during sport. Silicone on the inside to prevent the hairband from sliding off the head. 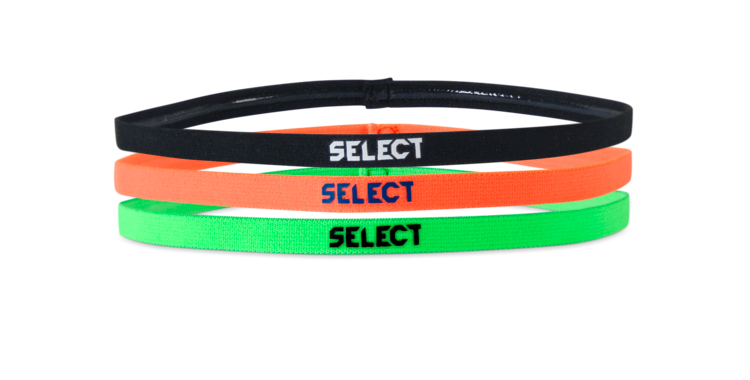 Small SELECT logo on the outside. 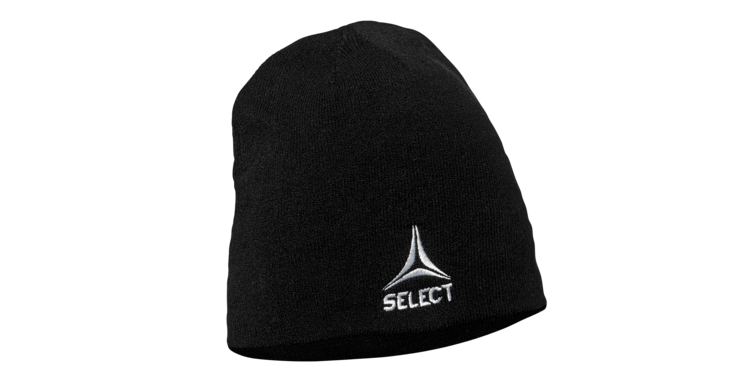 Select logo embroidered on the outside. Elastic string to adjust neckline and turn it into a hat.